MANILA- Impeachment complaints filed against magistrates of the Supreme Court who voted in favor of ousting Maria Lourdes Sereno as chief justice "will not see the light of day," Solicitor General Jose Calida said Friday. The government's top lawyer defended the magistrates, saying they merely performed their constitutional duty when they voted for Sereno's ouster. 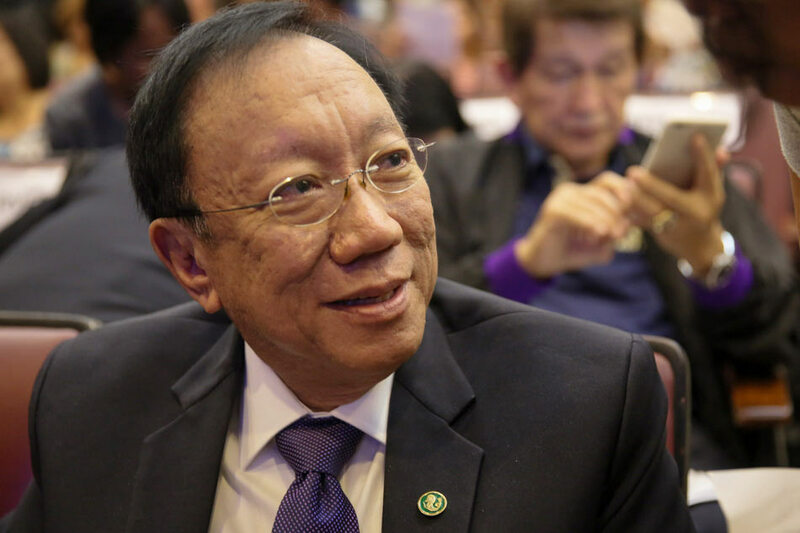 "Thus, when Justices vote on an issue like the Quo Warranto case based on their interpretation of the Constitution, they are merely performing their constitutional duty," Calida said in a statement. "And in doing so, it cannot be said that they committed culpable violation of the Constitution," he added. Opposition lawmakers on Thursday lodged impeachment complaints against Supreme Court Justices Teresita Leonardo-de Castro, Diosdado Peralta, Lucas Bersamin, Francis Jardeleza, Noel Tijam, Andres Reyes Jr., and Alexander Gesmundo. Albay Rep. Edcel Lagman, one of the complainants, alleged that the magistrates who voted for Sereno's removal committed culpable violation of the constitution and betrayal of public trust. The magistrates were among those who voted for Sereno's ouster via a quo warranto petition filed by Calida. The top court invalidated Sereno's appointment because she failed to fully disclose her wealth when she applied as chief justice in 2012. Calida advised the complainants to "come to terms" with the high court's ruling on Sereno's case, arguing that "by constitutional design, this is how our government should work." "If the opposition legislators’ logic will be followed, then all Justices, whose constitutional interpretation differ from them, can be impeached. Worst, following also this logic, Justices who dissented from the majority view in constitutional cases, can also be impeached," Calida said. "This will reduce impeachment to a mere vengeance mechanism, far from which it is intended for," he added. On Friday, the Judicial and Bar Council released its shortlist of candidates for the position of chief justice which includes De Castro, Peralta, and Bersamin.